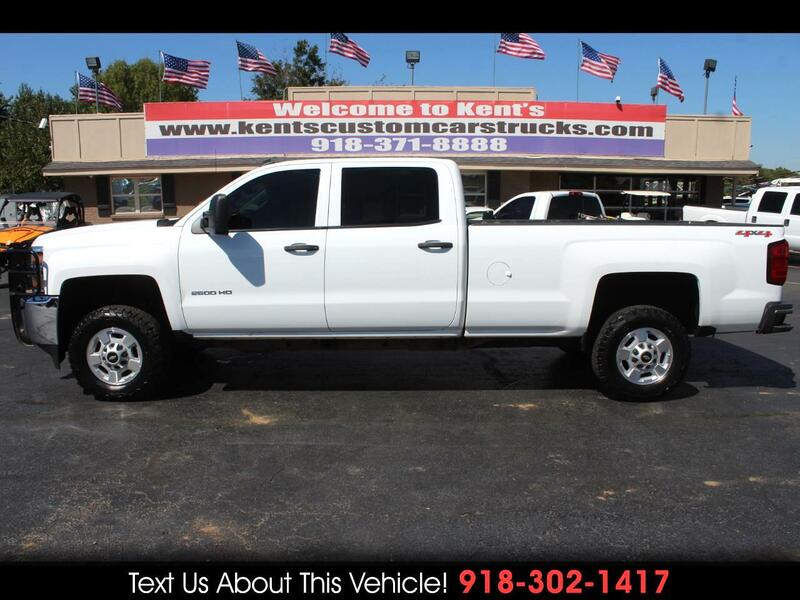 2015 Chevrolet Silverado 2500HD LT Crew Cab 4WD Long Bed, Vortec 6.0L V8 Gas/Flex Fuel Engine, 6-Speed Shiftable Automatic Transmission, Cloth Seats, Carpet Floor Material, Power Driver Seat, Heavy-Duty Trailering Equipment (Includes 2.5 in. trailering hitch platform w/ 2.0 in. insert for HD, 7-wire harness w/ independent fused trailering circuits mated to a 7-way sealed connector to hook up parking lamps, backup lamps, right and left turn signals, an electric brake lead, battery and a ground, and integrated trailer brake controller. (The trailer connector also includes the 4-way for use on trailers without brakes - park, brake/turn lamps. )), Integrated Trailer Brake Controller, Underbody Shield (Includes frame-mounted front underbody shield starting behind front bumper and running to first cross-member protecting front underbody, oil pan, differential case and transfer case (if applicable). ), 4.2 Color Radio with AM/FM, CD, 2 USB Ports, AUX Input, Memory Card Slot, SiriusXM Satellite Radio, Bluetooth Audio Streaming and Bluetooth Wireless Phone Data Link, AC, Cruise Control, Child Seat Anchors, Power Door Locks and Windows, Power/Heated Exterior Mirrors, Rear Window Defroster, Tilt Steering Wheel, Tinted Windows, Power Steering, Power 4-Wheel Anti-Lock Disc Brakes, OnStar Satellite Communications, Remote Entry with Panic, Remote Start, Front and Rear Rubber Floor Mats, Go Power 1000 Watt Inverter, 4.10 Axle Ratio, BFGoodrich LT265/70R17 Tires, Factory 17 inch Machined Aluminum Wheels. For more information give us a Call at 918-371-8888 or send us a Text Message at 918-302-1417.